Autonomous (self-driving) vehicle technology is all the rage. In a few years, sooner than you may think, cars, trucks and other vehicles will be able to manage most driving activities without human intervention – with some test vehicles already there. But not everyone is convinced yet that that is such a good idea. In fact, most consumers are dubious. “Based on the latest analysis … 92 percent of respondents believe that people should be able to take control of autonomous cars at any moment,” according to Volvo’s Future of Driving survey. 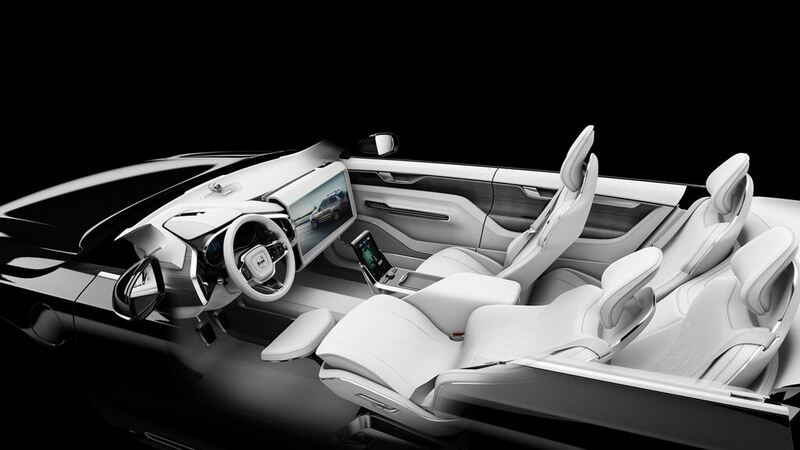 Volvo Concept 26 autonomous car interior design. With 10,000 respondents worldwide, the online survey is the largest to date focused on the technology. 90 percent of consumers feel autonomous cars should be able to pass a human driving test. 81 percent of people agree that car manufacturers, not car owners, must take responsibility if an accident occurs when a car is driving autonomously. 78 percent also believe the technology will make their travel time more useful and worthwhile, whether that involves relaxing, watching movies or other activities. As the survey suggests, however, creating the technology actually might be the easy part. “When will fully autonomous driving become a reality? That’s the trillion-dollar question,” wrote Roy, who said that the automakers are “terrified” of the psychological hurdle. “No manufacturer wants to be the first to sell you a fully autonomous car,” he wrote.